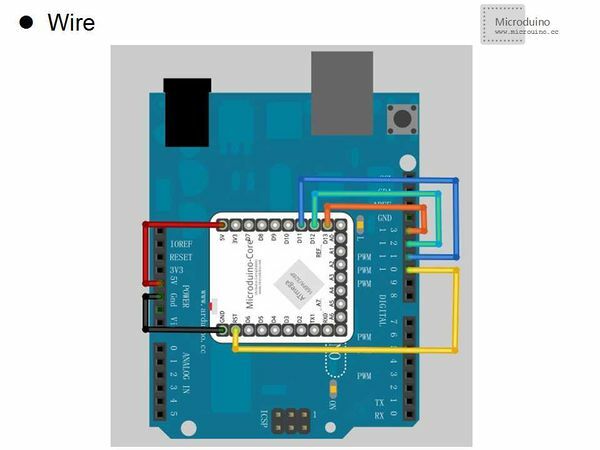 This tutorial explains how to use an Arduino or Micromodule-Core/Core+ board as an AVR ISP (in-system programmer). This allows you to use the board to burn the bootloader onto an AVR (e.g. the Micromodule-Core or Core+ used in Arduino). The code in this example is based on the mega-isp firmware by Randall Bohn. 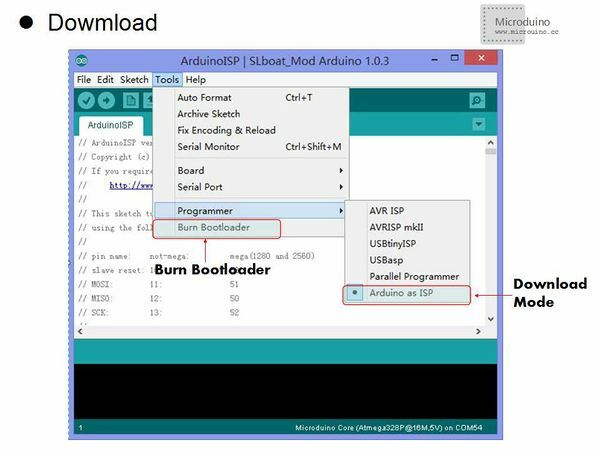 To use your Arduino or Micromodule-Core/Core+ board to burn a bootloader onto an AVR, you need to follow a few simple steps. Prepare your master Arduino or Micromodule-Core/Core+ boards. 1. Open the ArduinoISP firmware (in Examples) to your Arduino board. 2. Note for Arduino 1.0: you need to make one small change to the ArduinoISP code. Find the line in the heartbeat() function that says "delay(40);" and change it to "delay(20);". 3. 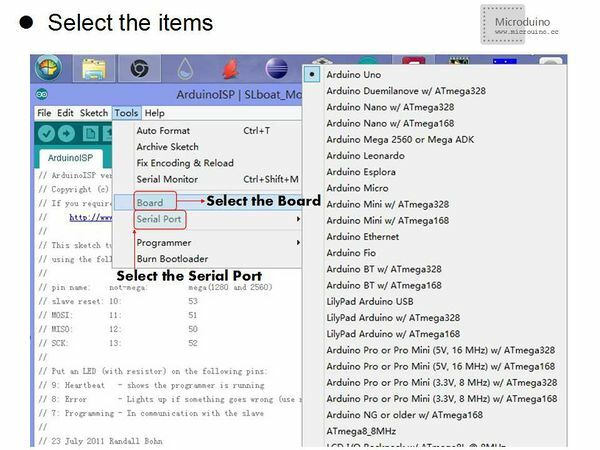 Select the items in the Tools > Board and Serial Port menus that correspond to the board you are using as the programmer (not the board being programmed). 4. 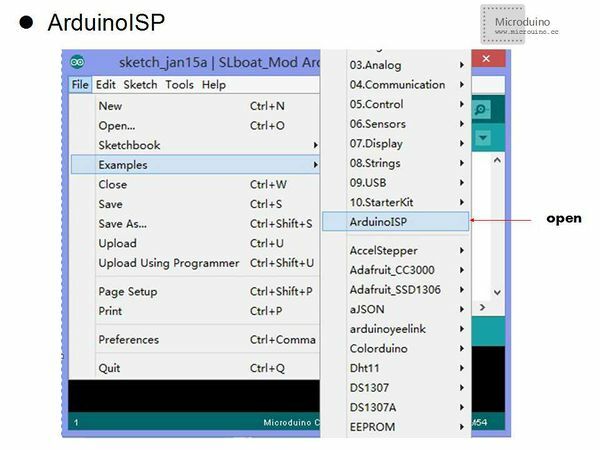 Upload the ArduinoISP sketch. 2. Select the item in the Tools > Board menu that corresponds to the board on which you want to burn the bootloader (not the board that you're using as the programmer). See the board descriptions on the environment page for details. 3. Use the Burn Bootloader > Arduino as ISP command. This page was last modified on 11 May 2016, at 01:53.